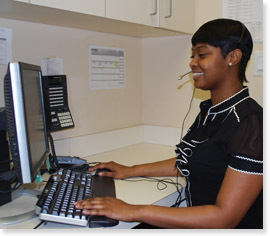 Our staff is available to assist you with patient scheduling Monday through Friday between 8:30 am and 5:00 pm. Same day office based urgent consultation and or diagnostic testing and next day semi-urgent service is available upon request. For the safety and well being of your patients, any request for expedited service will be honored with same day in-office service during regular business hours. For emergency care requiring in-hospital services or for provision of care after hours, on weekends and holidays, we will offer immediate attention to your patients at or at our affiliated institutions St. Joseph’s Hospital of Atlanta and Northside Hospital. For your convenience you may also download, complete and Fax to us the standard referral form with your request for consultation and/or or diagnostic testing.